Contagious glee filled the classroom Wednesday morning as we eagerly awaited the arrival of our Agriculture, Science and Policy class lecturer. A Reuters UK story hit the internet earlier Monday night and immediately went viral among the food world. A jubilation of Facebook status changes, GChats, text messages, emails, blog posts and phone calls carried the evening into the night. While any of the Friedman School students at Tufts were astute enough to know that something was coming, we were certainly astonished when we saw “No. 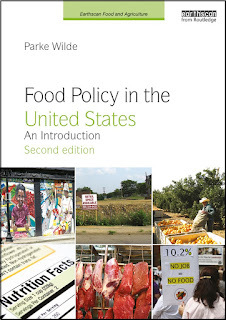 2 USDA post.” The class broke into applause as Kathleen, as her students call her, sheepishly entered the room. “Okay, so I’ve been holding a secret,” she claimed. I met Kathleen my first semester at Tufts through two courses that she was instructing, both in the arena of policy and agriculture. Her approaches to teaching policy involved a mix of structural theory, ambiguous creativity, and story telling. One of the underlying themes, which she proposed the first day, was to “think big.” No idea was too ridiculous. While there may be a science to policy making, there is also a human element that keeps it imaginative and inspired. One of my favorite “big ideas” from class was the idea to build grocery stores in the shape of the food pyramid. Kathleen holds an extraordinary appreciation for democracy and the role of government holding servitude to the people. She made it a point to show our classes how transparent the government really is, and the opportunity (and duty) that each of us has to participate in the rules that govern our land. Following a comment from a student on how struck they were at the “opportunities that exist for any citizen to try to influence policy by adding their voice, if they were just aware that they are out there,” Kathleen walked into the seats, requested the student stand and wrapped her arms around her in gratitude. Kathleen’s classes were spent looking at many problems with solution based approaches, all the while peering through a historical window. Her background in the organic and sustainable agriculture, pesticides, animal and plant health, marketing, conservation and business, is impressive, but more importantly is her understanding of the processes of government and how to get things done by bringing all interests to the table. So what can we expect from Kathleen? I think it is advantageous to note her use of Deborah Stone's Policy Paradox: The Art of Political Decision Making text in class. From this we can see that Kathleen appreciates and utilizes the theories of government and policy that are flexible, yet strategic, that uphold equity and focus on real root problems when developing solutions. Any special interest group that believes their and only their agenda is going to be served by this nomination is undermining the process that makes this country great. While this news is in fact the most exciting news for those citizens who know we are overdue for a revamp in the country’s food system, I would argue that the work has only just begun. While Kathleen will help implement Obama and Vilsack’s agenda, it remains our duty to be imaginative and vigilant in solving the problems facing our own communities. On a personal note, Kathleen has had an esteemed influence on me. Some of that endearment probably comes from her time spent earning her Masters in my hometown of Austin, but moreover, she has always had an open door and honest and realistic perspective. She is pragmatic and powerful, yet modest and civilized. I am honored to have had the opportunity to learn from ‘the best.’ I know I speak on behalf of all of her students when I say how truly proud I am of her and how excited I am to be in this field during this time. It is a bitter sweet loss for the Tufts community, but I think our “policy window” is wide open. I'm so glad you wrote this. It is indeed a bittersweet loss for the Tufts community. I'm really so glad to have known her and benefit from her expertise. Will miss her a lot.